We had much stronger west wind last night than the afternoon, but it was beautiful today again. As I found out that the clouds was getting colored this late afternoon I wen to the beach to take pictures. 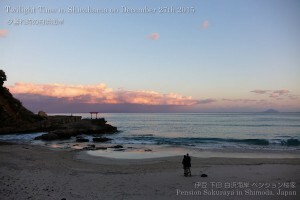 When I got there a young couple had been standing together looking over the clouds on the horizon for a loooong time. 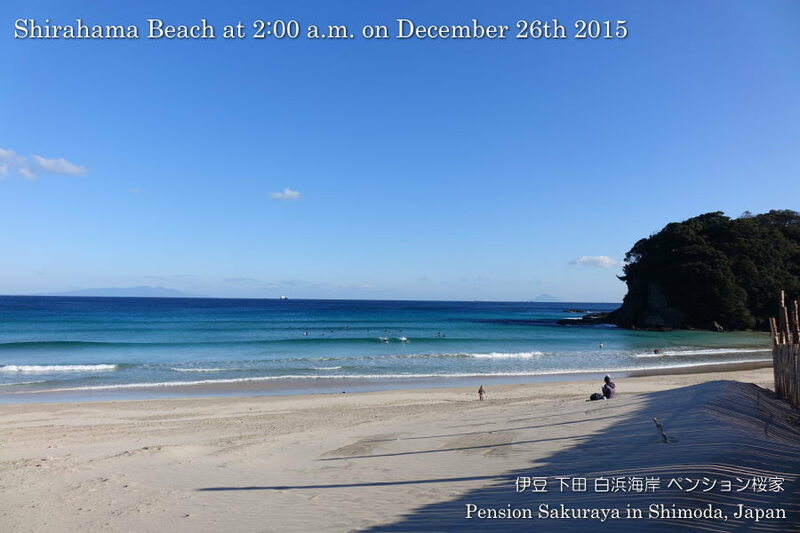 This entry was posted in beach, nature on 2015年12月27日 by izusakuraya. It was sunny, but we had strong and cold west wind today. 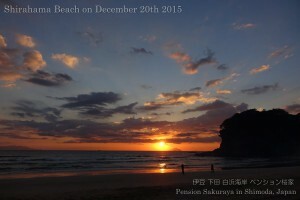 This entry was posted in 未分類 on 2015年12月26日 by izusakuraya. 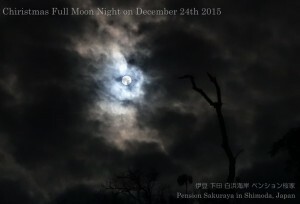 We have the full moon on Christmas day every 19 years. It means we will be able to see the Christmas full moon in 2034. 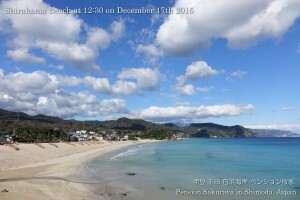 I walked on the seaside under the blue sky this afternoon as usual. This entry was posted in beach, nature on 2015年12月25日 by izusakuraya. 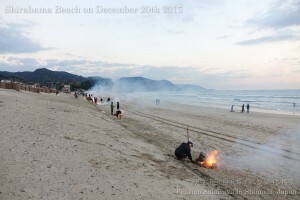 The local community had beach cleaning this morning. 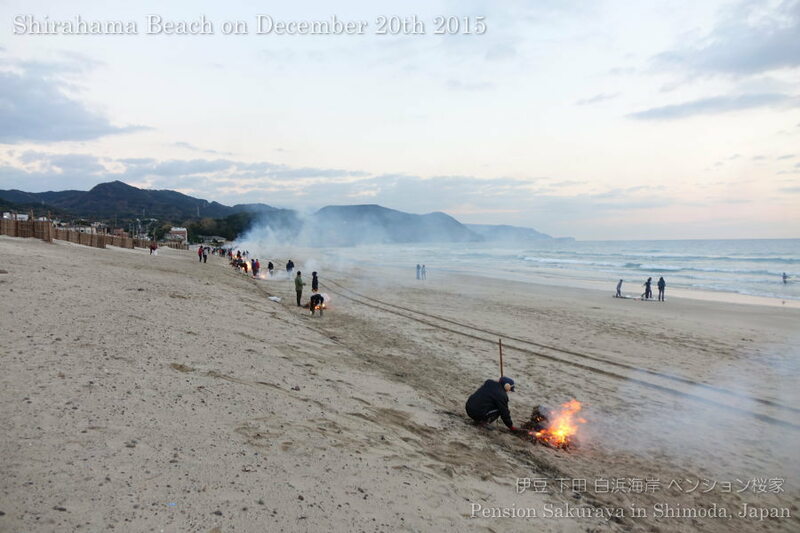 This entry was posted in beach, nature on 2015年12月20日 by izusakuraya. 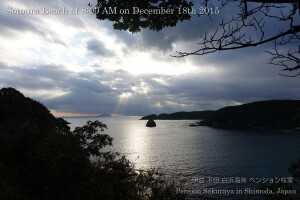 It was very beautiful to see the island on the horizon this morning. The sky was covered by a lot of clouds this morning, but it became sunny after that. 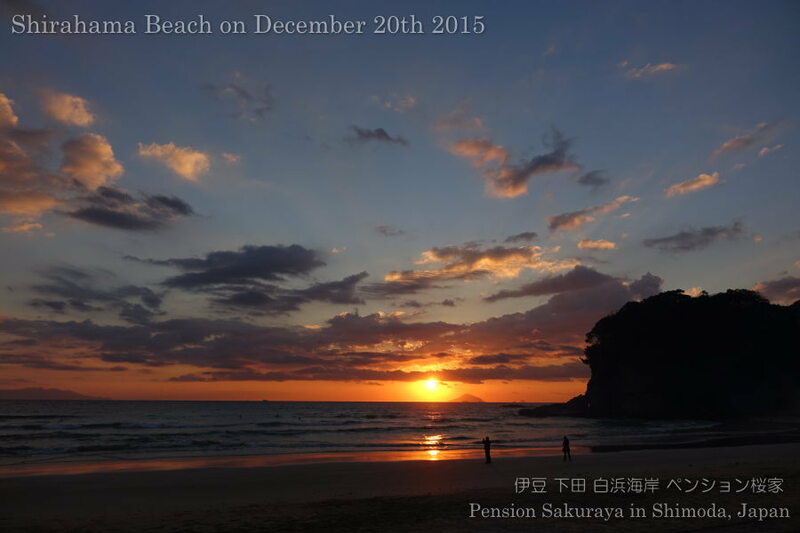 This entry was posted in beach, nature, Sea on 2015年12月18日 by izusakuraya. 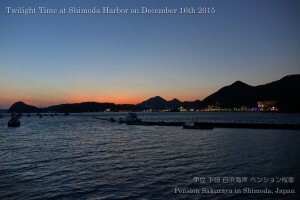 The strong west wind made the sky very clear! It was really beautiful the clouds in the sky. 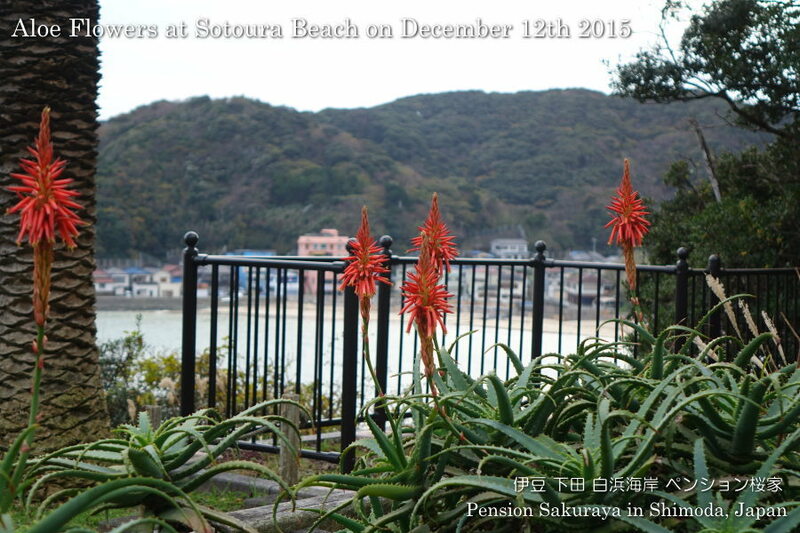 This entry was posted in beach, nature on 2015年12月17日 by izusakuraya. I took this picture at Shimoda harbor on the way home after I picked up my daughter at the station after school. 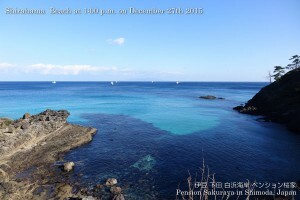 This entry was posted in nature, Sea on 2015年12月16日 by izusakuraya. 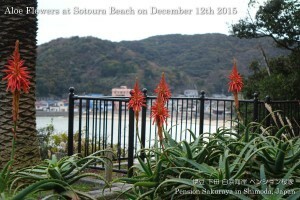 I walked on the seaside road to Sotoura Beach this afternoon. 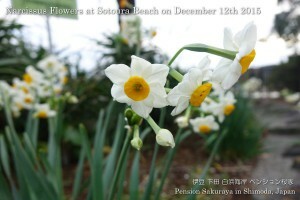 I was able to see some kinds of flowers blooming. This entry was posted in Flower, Sea on 2015年12月12日 by izusakuraya. 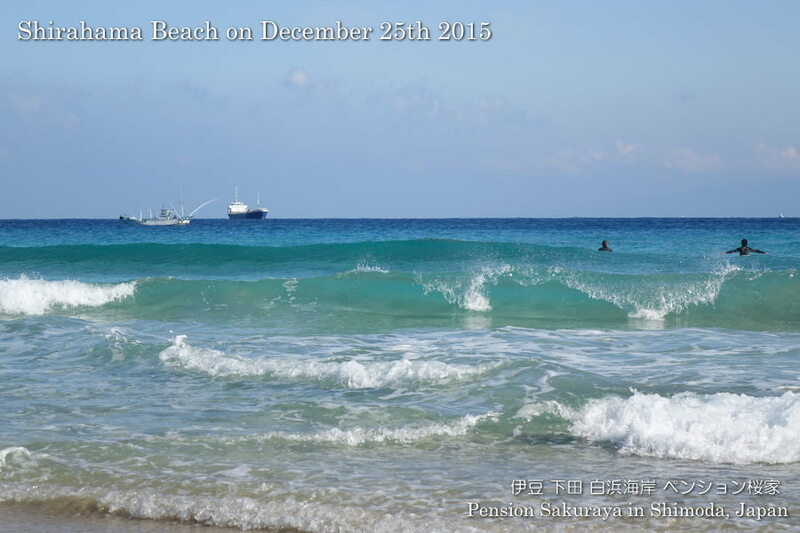 We had really strong wind and heavy rain like a typhoon this early morning, but the blue sky came back again! 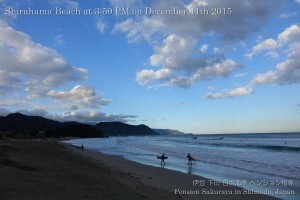 This entry was posted in beach, nature on 2015年12月11日 by izusakuraya. 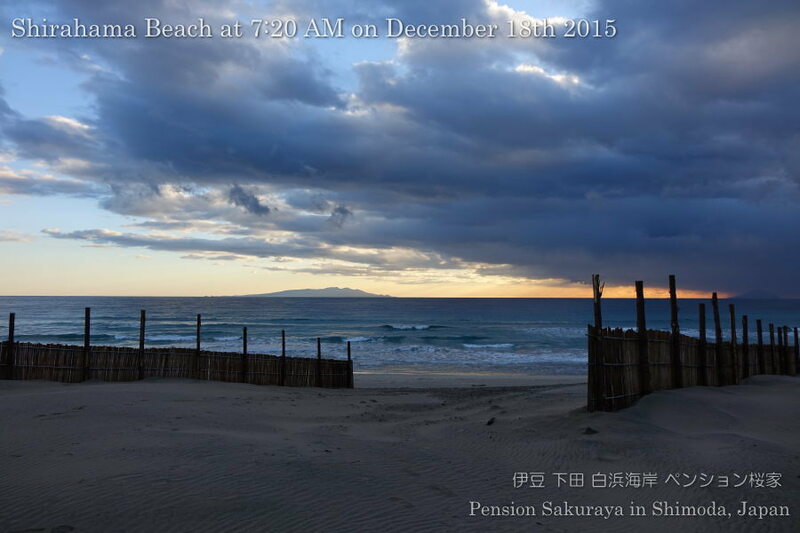 We didn’t have rain this morning yet. 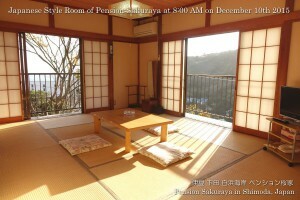 This entry was posted in Pension Sakuraya on 2015年12月10日 by izusakuraya.